Canfield Crucible Sets (CCS) are two cylindrical crucibles separated by a frit-disc that allows for separation of liquid from solid phase. The frit-disc has a milled shoulder on each side to make what can be a step-taper that allows for simple and effective co-axial alignment of the three-part assembly. The CCS is often used as the containment vessel for solution growth of single crystals. 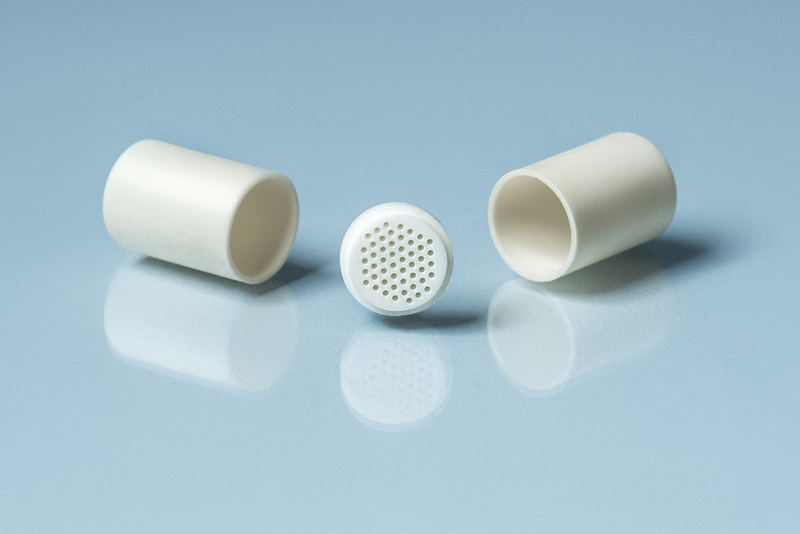 The CCS can be sealed into a morphous silica tubes or even tantalum tubes. The precise dimensions of the set can be chosen to fit within specific tubing. Separation of crystalline phase from remaining liquid is often accomplished with the aid of a laboratory centrifuge.